Herbs & More | Hormone imbalance can be sorted out. Herbs & More, 760 753-7272. Below are testimonials from women who were having hormone imbalance of one sort or another and the benefits they received using a natural approach. Testimonial #1) Before using the herbal combination Female Comfort, I was hindered by constant pre-menopausal symptoms such as: night sweats, hot flashes and mood swings. After starting the formula and using it for approximately 2-1/2 weeks, these symptoms disappeared! I feel so much better and recommend it highly ( I use it along with a natural progesterone cream I got at Herbs & More also ). I use a small amount of the cream in the morning and evening and take the Female Comfort twice a day. Thanks so much. The muscle testing was interesting and seems to have helped in finding just the right things I needed “. Cheryl C., 05/10/2003. Testimonial #2) ” I came to see Steve to obtain some relief during ovulation and “period week”. 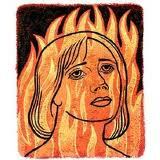 I was experiencing 3 days of nausea, pain & hot flashes during ovulation, & 8 days of the same symptoms during my period. After following the regimen Steve recommended, and within one cycle, I have experienced NO noticeable symptoms during ovulation & only 4 days of minor discomfort during my period! How is this possible? I have had symptoms around my menstrual cycle pretty much since it started, some 17 years ago. Hormone imbalance is something I have lived with and didn’t know it could be so easy to change for the better. I honestly feel Steve has given me 7 days back of normal living every month”. Thank you Steve. Lois, 10/11/2006.